Hotel Management System is an ideal software solution for Hospitality Industry that can be used at hotels, motels, inns, resorts, lodges, hostel, military guest houses, ranch, suites, apartments, medical centres and bed, breakfast operations. Our product Hotelier Hotel Management System is a comprehensive software suite consisting of integrated modules for various aspects of hotel management. datotahost hotel management , full hotel management system. 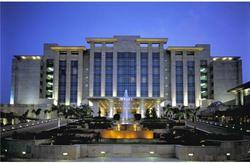 We are counted as one of the leading service providers of Hotel Management Software. 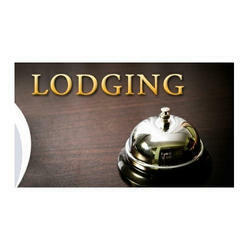 Used in hotels, the rendered management software is known for its execution within promised time frame. Rendered by a team of experts, the rendered hotel management software can be customized as per the specifications provided by the patrons. Finac Hotel is useful for Hotel, Restaurant, Bar, Lodge, Resort, etc. It includes all features for online billing, inventory management and accounting up to finalization. All Types of hotel can use it. Star - Hotel Software for Hotels and Restaurants with K.O.T. Management, Table Booking, Room Rent Service, Billing, Stock Management, Production. Very Easy to operate. In order to cater the variegated requirements of our precious clients, we are betrothed in providing high quality services for Hotel Management. Our provided services are rendered by our professionals using latest techniques. In order to avoid any defects, these services are properly tested against diverse quality parameters.